A hypodermic needle is a type of needle commonly used with a syringe to inject substances or take substances from the body, as well as the rapid delivery of liquids in both medical and non-medical applications. Most hypodermic needles are designed for single use because they are hard to decontaminate and need sharpening after repeated use. Some of the wide-ranging applications for hypodermic needle tubing are found in industries such as dental, automotive, petrochemical, and semiconductor industries. In addition, hypodermic needle tubing is used in applications ranging from medical instruments and dental implants to hydraulic systems, fuel lines, and engine conduits. In the industrial manufacturing industry, hypodermic needles are most commonly utilized in the application of precise amounts of various types of liquids and pastes including lubricants and adhesives. Hypodermic needle tubing is constructed through welding or seamless tubing procedures. Welding involves roll forming stainless steel and connecting the formed portions along a seam through fusion. Seamless tubing, in comparison, involves the creation of stainless steel tubing by piercing a round blank. Welding achieves a higher degree of precision without secondary operations, although the degree of precision required depends on the particular industrial application. Metal spinning is a “cold worked” metal fabrication technique which is similar to a potter forming clay, except that a metal spinner uses a flat round disc of sheet metal which is rotating on a spinning lathe. 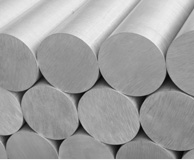 The metal spinning process is limited, however, to the making of concentric shapes such as tubes. From these stainless steel tubes, a process known as tube drawing is performed. Tube drawing is a metalworking process that is used in order to size the stainless steel tube by shrinking a large diameter tube into a smaller one, and then drawing the tube through a die. This process is used in the production of hypodermic tubing because it provides high quality with precise dimensions, good surface finish, and the additional strength provided by cold working. Hypodermic Needles Hypodermic needles are hollow, cylindrical tubing used as equipment components or as a medium through which fluids pass. Hypodermic needles are usually made from stainless steel tubing. These needles are classified by their outer diameter and wall thickness, also known as the gauge size.